Indian nationals need a visa to enter Singapore under any circumstances although there are two exceptions to this rule – holders of diplomatic/official passports do not need a visa. 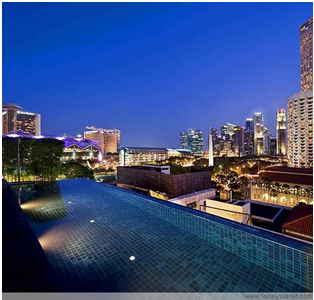 Singapore has two lists of countries with different visa requirements – Level 1 and Level 2. India is one of the Level 1 countries. An example of a visa required to cover a limited amount of time is called the Short Term Entry Visa and Social Visit Pass. There are strict entry requirements for immigration into Singapore, including the possession of a valid travel document (validity of a minimum of six months), a return ticket to your place of origin, or if appropriate permission to enter the next destination country. You are also required to have sufficient funds for your stay in Singapore, however long that may be. Singapore views attempts to enter the country without the appropriate visa a serious offence. There are a number of circumstances in which an Indian visitor might have need of this kind of entry visa to Singapore. A businessman may have a contract with Singaporean company and needs to have face to face meetings with that company. On a similar theme a short-term visitor may be using the time to search for employment opportunities. Needless to say, should they secure any employment then a different kind of visa would be required. Other occasions might be Indian parents visiting a child who is studying in Singapore, possibly in higher education, or simply a family on a tourist trip to the country. Visa applications can downloaded and, needless to say, there are detailed procedures to be followed. For the example of a social visit where the applicant is visiting friends or relatives, or the visit is for tourism purposes, you must complete a Form 14A. Pasted to this will be a passport sized colour photograph which has to be no more than three months old. A photocopy of the applicant’s biodata page should be provided that the passport is valid for at least six more months. Details of a local contact must be provided and a Letter of Introduction sourced from that contact. This local contact must be at least 21 years old. Should the applicant be unable to furnish a Letter of Introduction from the stated source it would be possible to get one from one’s own Embassy. Other documents may be required and official translations must be supplied if the documents are not in English.